When you summon another creature, Murkwater Savage gains +1/+1. 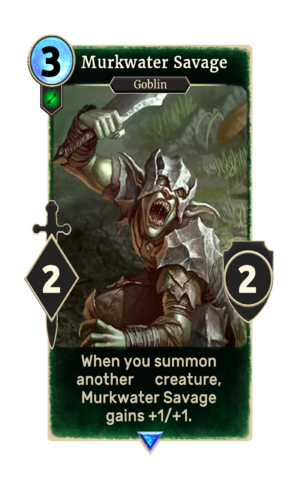 Murkwater Savage is a rare Agility creature card. It is part of the Core Set. This card's ability applies the Tribal Might card effect. The card is named for ESO's Murkwater Tribe of goblins.